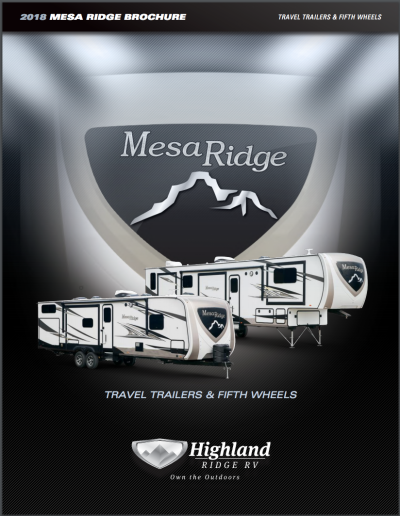 Make memories you won't ever forget with the 2018 Highland Ridge Mesa Ridge MF374BHS! You won't be able to wait to travel with this stunning 5th Wheel! Start your RV adventures today at National RV Detroit! With our wide variety of quality models, exceptionally low prices, and highly ranked customer service, we're known throughout Belleville as one of the best Michigan RV dealers! Stop by 44700 N I 94 Service Dr Belleville Michigan 48111 to see this model for yourself, or call us at 734-439-3400 and talk to a member of our expert staff today! Enjoy fun family time outdoors without getting sunburned thanks to the 16' 0" awning! Trips are easy with this RV's hitch weight of 2520 lbs. and GVWR of 16470 lbs. Walk into the master bedroom and you'll find a comfortable King bed! 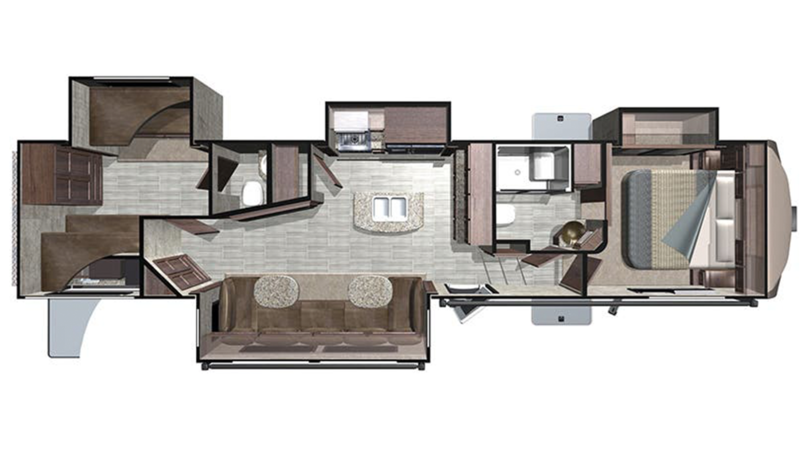 This RV has sleeping accommodations for up to 8 people! Do you enjoy a hot shower in the morning? You can enjoy one every day in the comfortable, convenient, and beautiful full bathroom! It has a roomy shower and a sanitary Porcelain Foot Flush toilet! With the big 85 gallon freshwater tank and 60 lbs. of LP tank capacity, there'll be plenty of hot water for everyone! Dirty water and waste are stored in the 98 gallon gray water tank and the 82 gallon black water tank, respectively. At the end of a long, full day of outdoor adventures, it always feels great to climb into a cozy comfortable bed and drift off to dreamland! That's what the whole family can enjoy in the Highland Ridge Mesa Ridge MF374BHS, especially in the handsome bunkhouse! It's roomy and quiet and the kids will love it!